Romania is a great country! A country with beautiful landscapes and unique nature. In the heart of Europe, there is a paradise still unknown to many people. The warm openness and friendliness of the people overwhelm us again and again. 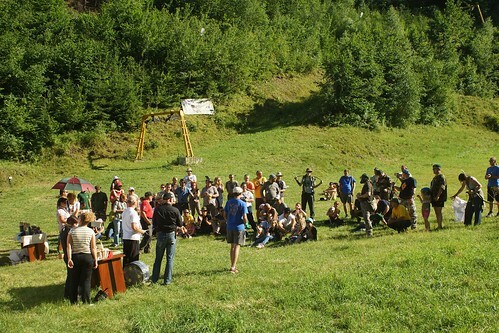 This year, Henry Bodnik hosted the Bearpaw Cup Romania for the second time. The tournament was shot according to the points for a Kill Tournament developed by Henry Bodnik and finished with the so called ‘Final Cut’, already famous throughout the world. 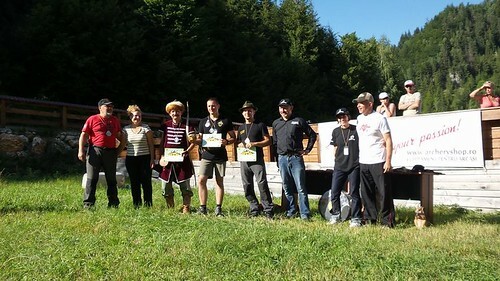 The Romanian Kill Tournament was organized by Codruta Angelescu in cooperation with Bearpaw Products. Codruta is the official distributor of Bearpaw Products in Romania and together with her partner Doru, she is a true pioneer in instinctive archery. 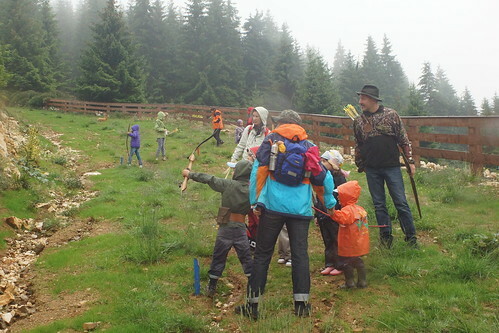 In the middle of the impressive landscape of the Carpathians, one can find the unique sports complex Cheile Gradistei-Moeciu. It is worth taking a look! 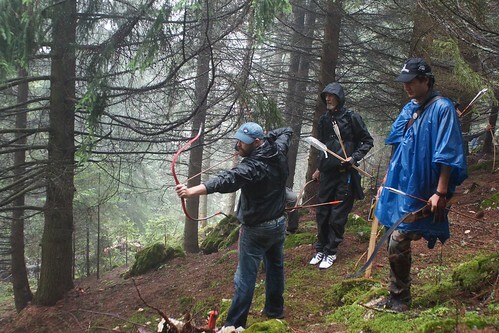 Together with Uwe Tesch, editor of the online magazine “Instinctive Archery”, and Doru the course was built in the mountains of the Carpathians. Uwe Tesch wanted to be on site to collect personal impressions for a report in his magazine. Since only the kill hits counted with plus points in this tournament, all targets were set in close distances to create a hunting atmosphere. Body shots were even judged with minus points! The day of setting up the parcours as well as the first day of the tournament were accompanied by heavy rain showers. 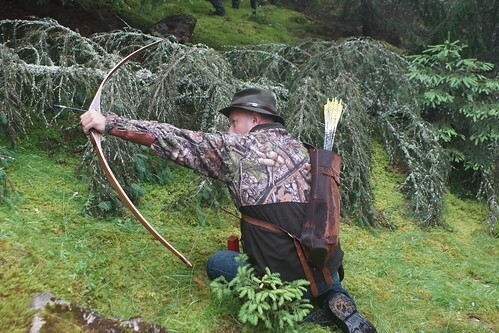 More than 100 archers with traditional material had signed up and Henry Bodnik wanted to set up a special tournament. Thus, the Bearpaw Cup Romania has already become the largest Kill Tournament outside of Germany. While setting up the coruse, Uwe Tesch won unique impressions which he will now be able to pass on to his readers. On day 1, the tournament participants had to complete a two-arrow-round. Both arrows had to be shot and got into the scoring. Henry Bodnik could again create many tricky shots to give rise to the magic of a hunt in an impenetrable thicket. On the 2nd day, the course was shortened to 20 stations, so that all ratings were completed by noon. Only one arrow was shot per target. Bodyshots counted minus 5 points, while kill hits had a 20-plus point impact. After evaluating the class winners, the tournament winners were determined in the ‘Final Cut’. Together with Uwe Tesch, Henry Bodnik built a time course on which the participants of the finals were to fight for the honor of the tournament victory and cash awards. Before the eyes of all tournament participants and spectators 30 archers took up this challenge. Even for the children, a separate final was held. The excitement was palpable and felt by everyone! The finalists had to shoot the ‘Final Cut’ course in 50 seconds and shoot 5 3-D-targets, each with one arrow. Only those who had completed all five positions (whether successful or not) were rewarded with 20 extra points. At each position, kill hits were rewarded with 20 points and body shots with 10 points. In the end, however, 5 archers successfully tied with 80 points. In yet another final, they then had to prove their precision. They had to complete three precision shots at a long distance before the eyes of all the spectators. 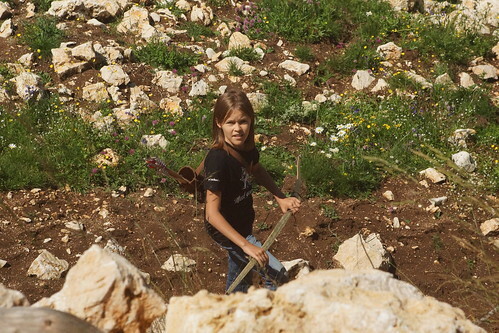 The tension culminated, leaving many an arrow flying past the target with excitement. Gabriel Nemes was selected for 1st prize at the final raffle. In addition to 3-D animals and many other awards, the Bodnik Bows by Bearpaw Products are naturally coveted profits. Gabriel has now decided and will soon be the proud owner of a Bodnik Bows Redman. 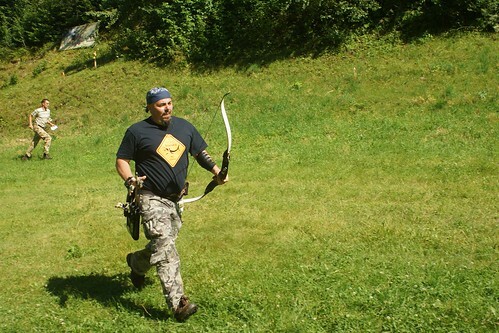 Bearpaw Products, Henry Bodnik and Uwe Tesch thank, above all, the passionate archers from Romania. Without you, this successful tournament would not have been possible. You are the lifeline of Romanian archery! We look forward to the Bearpaw Cup 2015 determined to have more than 150 traditional archers.